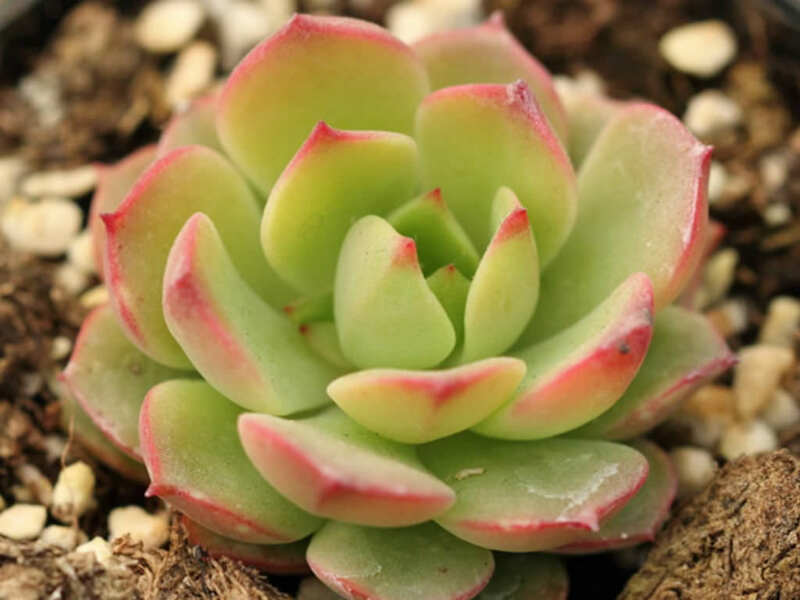 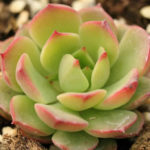 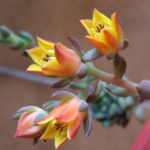 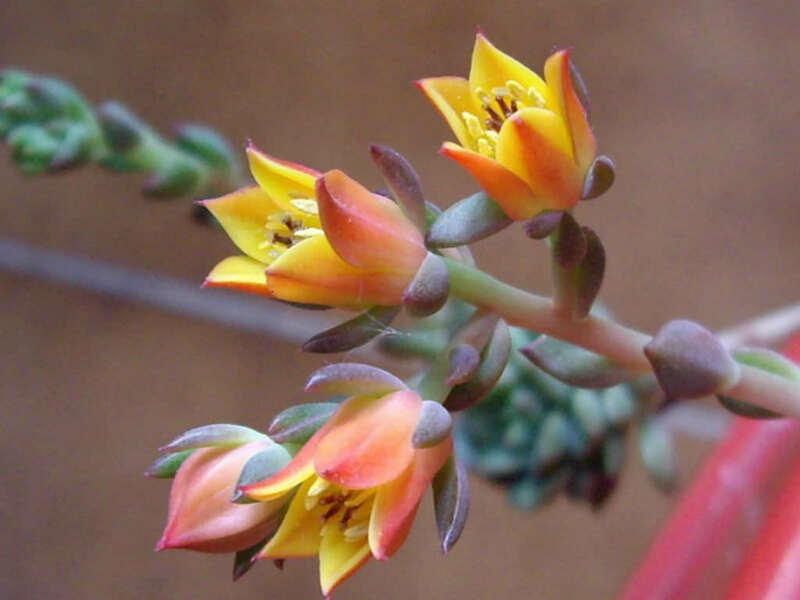 Echeveria ‘Victor’ is a lovely succulent plant with mottled leaf coloring, taking on lovely yellow/red colors on the outer leaves in summer light. 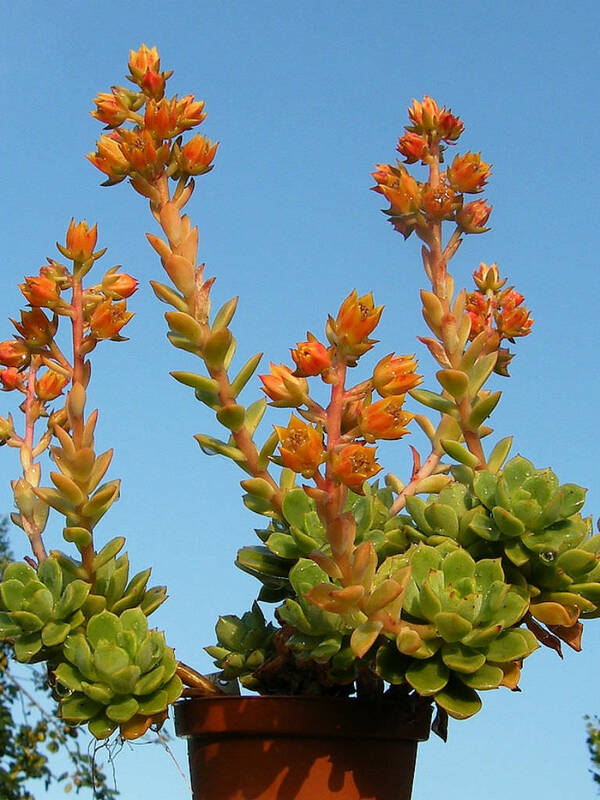 Excellent in landscape, rock garden or as a patio plant. 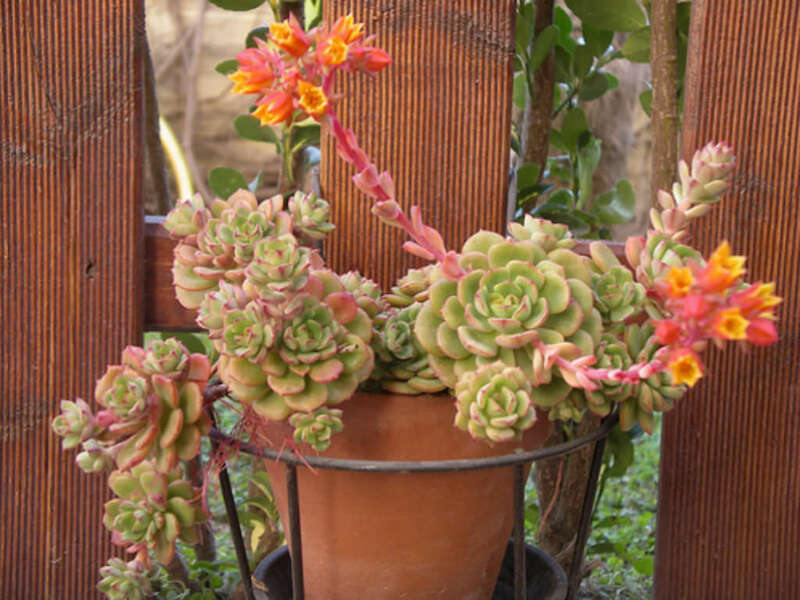 Flowers are orange-red. 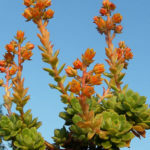 They emerge on small short arching racemes on the top of reddish stems.